I am in two minds about New Year’s resolutions. I recently read two interesting and wildly differing articles about them: Oliver Burkeman’s piece in The Guardian and Maria Popova blog post on Brian Pickings. I am more drawn to Oliver Burkeman’s piece as just reading the list of resolutions from some of humanity’s greatest minds that Maria Popova put together made me feel dizzy. Engaging thought they are if I were to try to do either some or all of them I doubt I would have an atom time for anything else. I claim I don’t make resolutions. What I do instead is to draw up a series of to-do lists. In reality, I suppose, these are resolutions by another name. However this year I did make some proper resolutions one of which was to join a gym. That was cheating as joining was super easy, I just turned up and signed on the dotted line. Ergo resolution achieved. Well, only sort of, because what I really want is to get fitter and that means going to said gym three times a week. At my first session I got a print out of various measurements such as my: fat mass, BMI, muscle mass, visceral fat rating, fat mass, bone mass … I don’t pretend to understand fully what they all mean but sadly most of the figures show that there is plenty of scope for improvement. So for me 2015 is The Year of The Gym. Another resolution I made is the last one mentioned in Oliver Burkeman’s article, if you didn’t click-through it’s: ‘resolve to cut everyone a massive amount of slack, including yourself.’ And on that note I am forgiving myself for my grinding laziness these past two weeks. My final resolution is not to jump in and write ‘an apology’ post when I am absent from the blog. According to an article I read about blogging to do so is presumptuous as it assumes that readers are hanging around waiting for your next post. If only! However old habits die hard, so, I will just say in advance that I may be missing from blogland from time to time in 2015 but if I am I will return. I don’t make resolutions, I prefer to just get on with life. It seems to be whizzing by much too quickly and I have many more things to do. Have a great 2015…and good luck with the gym. Thank you. You too, have a great 2015 and I hope you get lots of the things you want to do crossed off your list this year. I so agree that life is whizzing by too quickly. I know I will be shaking my head come December and wondering how oh how did the year go by at such a rate of knots. No resolutions here either, wishing you a wonderful 2015! Have fun in the gym. Burkeman’s article is funny and wise, and you can forgive yourself for ‘apologies for my absence’ posts. It’s actually quite reassuring to read those posts. When people you follow are silent for a while it can be concerning for the followers. Thank you, although at the moment I am not regarding my gym visits as fun. Maybe I will when I get fitter. Yes that’s so true, if someone whose blog I read goes missing for a while I do find myself wondering if everything is ok with them. Thank you so much Heather and a very Happy New Year to you and Matt. It’s just fun to be starting a new year and I’m really looking forward to getting through the cold month of January! January is cold here too, so I am looking forward to longer days and Spring-like weather. 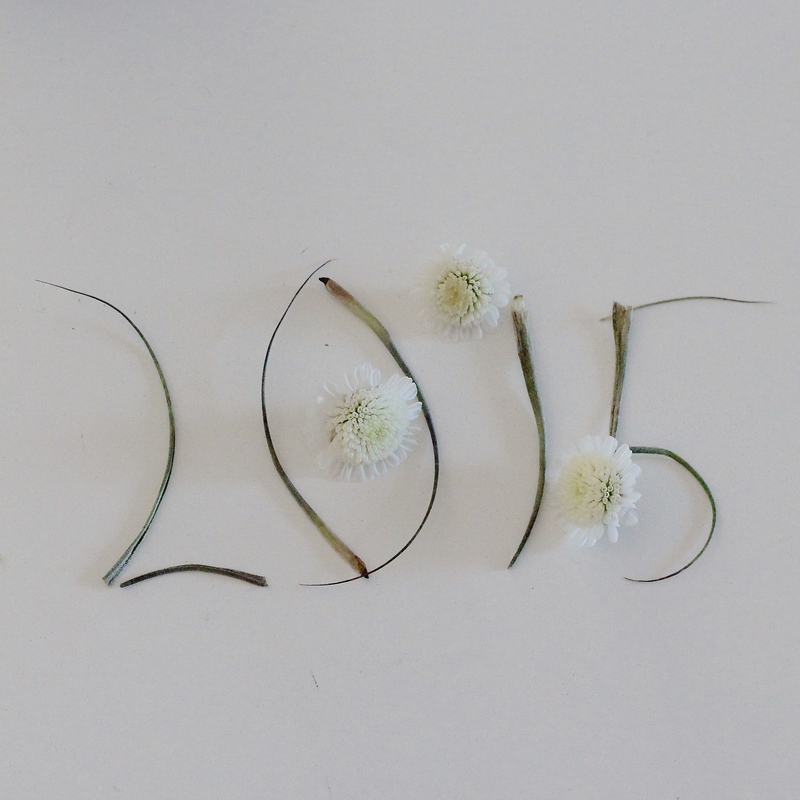 Wishing you a wonderful 2015! Hello Francesca, It was a case of needs must as I knew I was unlikely to get fitter left to my own devices! Like you I don’t like gyms so I am forcing myself to go in the hope that the circuit I do will get easier. I find the cross trainer a killer. Lucky you having a gorgeous, gorgeous personal trainer. Thank you for your good wishes for the New Year and I wish you all a splendiferous 2015! I loved reading your post, dear B, and I wholeheartedly agree with all your points! I don’t do year end resolutions: partly because life gets invariably in the way and lartly because I don’t get all this “you are supposed to commit to a specific task at that specific time of the year”. And, I also read and concurred with those posts that you mentioned advocating that bloggers should not apologize for taking… leaves of absence. Well, I certainly took one because of work and I also took that advice when I came back. I think there is truth in it. Anyway, good to have time to repay you again 🙂 and of course may you have the best possible year you may hope for. Thank you so much Stefano. It’s good to see you back blogging, I hope that means the work pressure has eased off for now. I look forward to reading your wine reviews in 2015.